Concussion Apps for Coaches and Parents: Will They Affect You? If you opened a patient’s file before ordering or reading a CT or MRI scan and saw a note from a sideline coach saying the patient exhibited all the signs and symptoms of a concussion, what would you think? Would you be surprised? You might have to get used to these notes thanks to iPad and smartphone technology. Radiology applications (apps) are becoming more common, but the concussion apps are unique. They aren’t designed for you, the radiologist. Concussion signs and symptoms checklist from the UNC-Chapel Hill-produced concussion app. They’re meant for coaches, trainers, and parents. Mihalik and his colleagues developed a smartphone app that presents concussion signs and symptoms as a checklist. 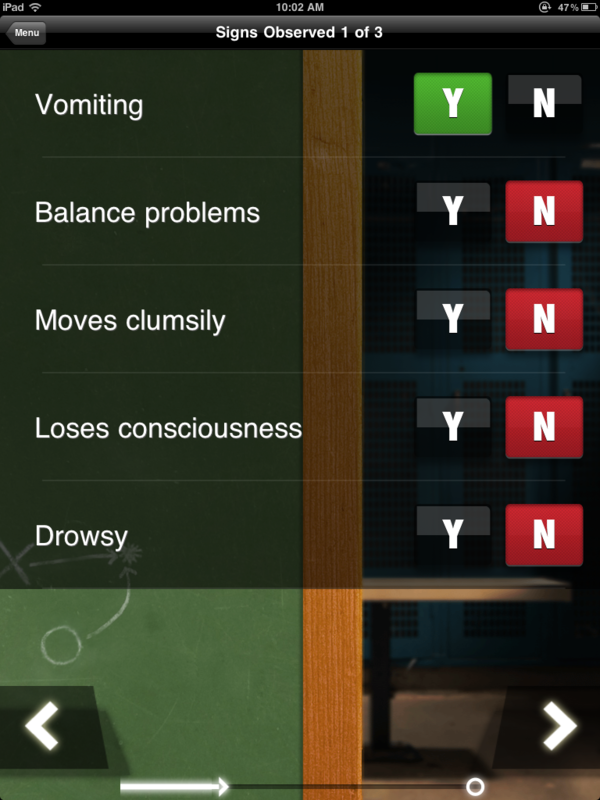 Based on the user’s answers, the app can recommend seeking physician attention for the athlete. Cleveland Clinic biomedical engineer Jay Alberts also created an app for the iPad2 that records a baseline assessment of an athlete’s cognitive, balance, vision, and motor skills. This information can be compared to athlete performance anytime he or she sustains a head injury. Both apps offer the option to email information to a parent or health care provider.